Carl’s sons, Charlie and Gus, worked with him at the shop for years. 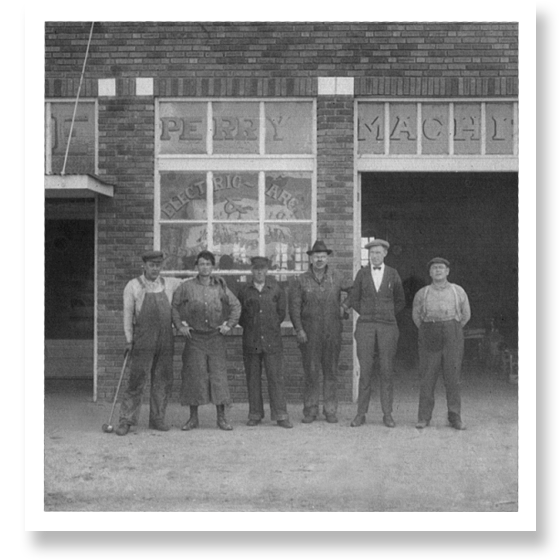 In 1913, the two took over the business and renamed it Malzahn Brothers’ General Blacksmithing. As the Oklahoma oil boom hit its stride, the brothers began specializing in repairs for the nearby oil fields. Business had never been better. 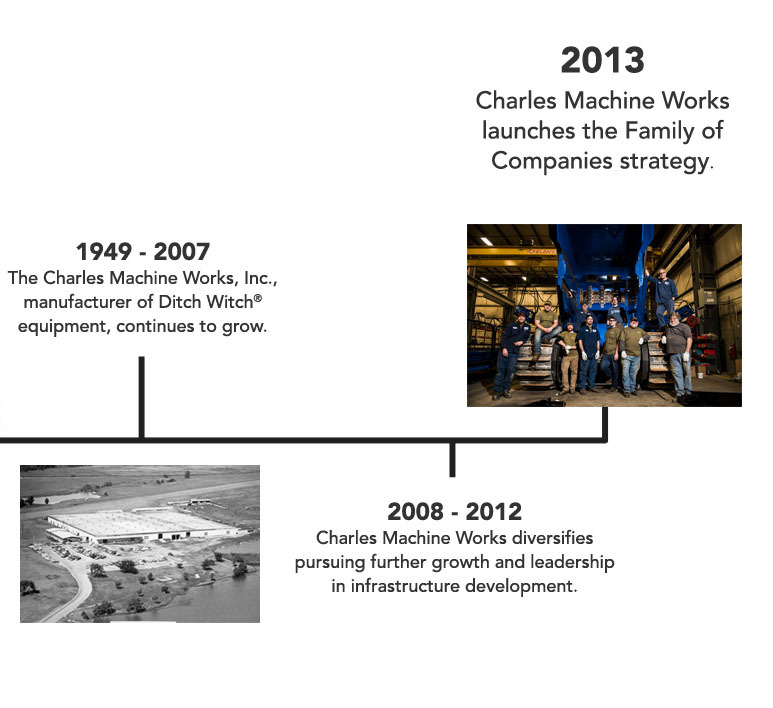 After his brother passed away in 1928, Charlie renamed the business Charlie’s Machine Works and continued building on the success his father had started. 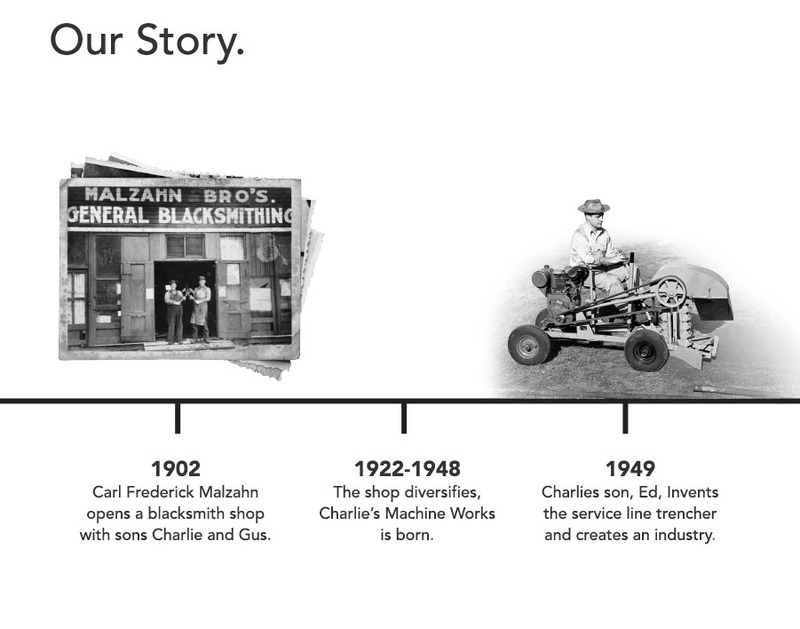 In 1944, Charlie persuaded his own son, Ed, to join the family business. A mechanical engineer, just graduated from Oklahoma A&M, Ed saw an opportunity right away and knew “there ought to be a better way.” Ed and Charlie set out to replace the inefficient pick-and-shovel installation of underground residential utility services. Soon, they had a prototype of the first compact trenching machine. Called the DWP, for “Ditch Witch Power,” the invention birthed an industry … one we are still leading today. 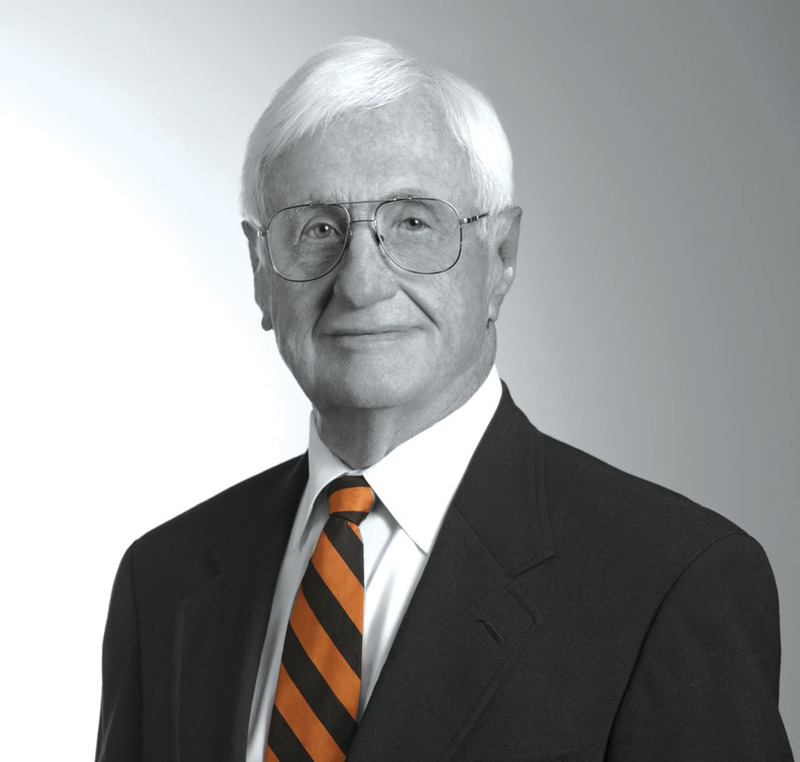 Remembering Our Friend And Founder. Ed Malzahn did more than invent the world’s first utility trencher. So much more. He was an engineer. A businessman. And a true leader. His rural work ethic and generous spirit live on today, guiding everything we do.